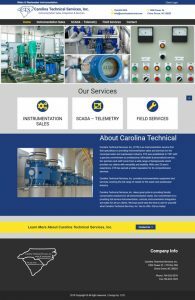 Carolina Custom Designs is delighted to have joined with Danny and Carolina Technical Services in creating a new website for their company. Carolina Technical Services Inc. (CTS) needed a secure portal for their many clients in order to provide timely documents that can be downloaded. CCD provided a solution that is both user friendly for CTS clients to access and an easy UX design for CTS to create individual client accounts and upload necessary documents. CCD is also the web hosting provider for Carolina Technical. 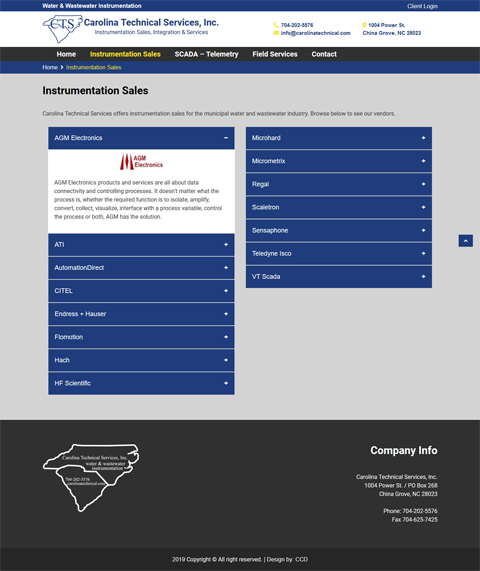 Located in China Grove, NC, Carolina Technical Services, Inc is an instrumentation service firm that specializes in providing instrumentation sales and services for the municipal water and wastewater industry. In business 25+ years CTS has earned a stellar reputation for its comprehensive services. 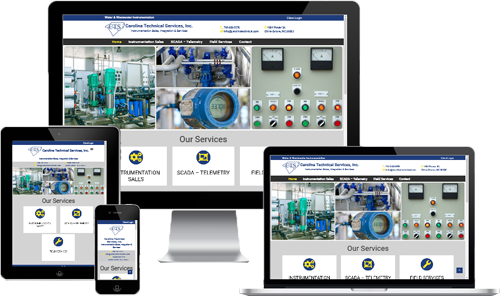 Take a moment to visit Carolina Technical Services today!